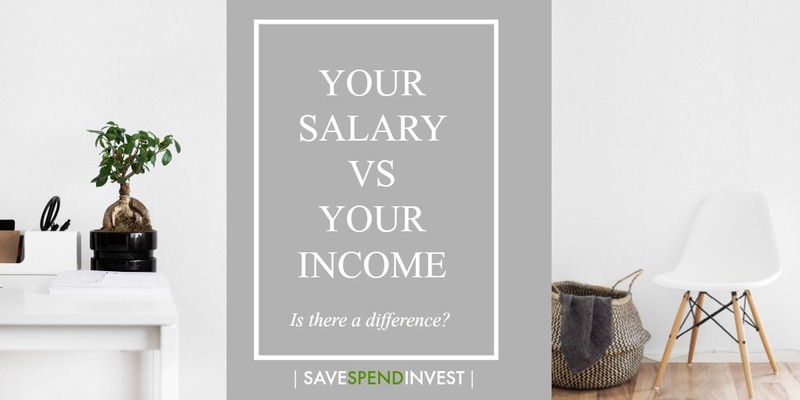 Do you know the difference between your salary and your income? Some people equate how much they ‘earn’ i.e their salary, to how much they get ‘paid’. I used to think that too when I started university. You get income from your salary when you get a job. So the plan was work hard to get a good job so you get a good salary and therefore a good income. Right? Hm, maybe. But as I got to my second year and I started making ‘income’ even though it was not my ‘salary’, I started to think a little different. You see, your salary and income aren’t the same thing. Your salary can be your primary source of income, and indeed is a good chunk of a lot of people’s income. But it is not necessarily your only income. So many people have made it to the their financial goals without being on a ‘salary’. The idea is that they created multiple streams of income. Your job holds the keys to your salary. They give you a figure and tell you that’s what you get paid for working for them. That’s fair enough – they’re in control. YOUR job, is to be in control of your income. Note the difference. Your income is not limited to your salary. Some people have defined financial freedom as ‘when passive income exceeds active income.’ In other words, when you are making money whilst sleeping instead of actively working for it. It is the freedom to choose how you want to live your life, without working actively on a job or running from paycheque to paycheque. That my friend, is the dream that we all have. Or just mine maybe. To wake up in Maui or Malawi, go for a swim, go shopping, read a book [or many books], have lunch with friends, write, take pictures for the ‘gram, walk the dog, have dinner with mama and papa – all on a regular Monday, not on holiday – because that’s how you choose to live your life, and still getting enough money passively to cover all of that and more. What does passive income mean in real terms? Passive income might include income from real estate, dividends or returns from shares in investments, or even your side business bringing you money without you being hands on with it. No one is saying you won’t do any degree of work, after all, those rental properties did take a while to buy and even longer to find tenants, didn’t they? Good things come to those who hustle, hard. The difference is active income is directly correlated with you being, you know, active on it. For example, at my job, we get paid for being active on client site, working actively to meet a deadline and so on. My hours spent at work = my pay (more or less). I have a time when I start work and a time when I end work. During those times, I’m actively working to get paid. I don’t get paid on the weekends because I don’t work on the weekends, and I definitely do not get paid when I’m sleeping. Take home advice: You are in control of your income. Your boss is in control of your salary. Be more focused on creating multiple streams of income. I’d throw in here that this can also be multiple salaries. Back before our parents knew about passive income, they knew active income and knew it well. Their multiple streams of income may not have been through real estate or shares but actual multiple jobs providing multiple salaries. We even know of single parents who work different jobs round the clock to make ends meet. Those are still multiple streams of income – although thats not really the goal in reaching financial freedom. In another post, we’ll get into the different streams of income you can have at any point in your life – some you don’t even have to leave your bed for! In the meantime, if you have tips/experiences or anything really you’ll like to share, please drop a comment below. Even better, pass this on to a friend who needs to know that they are not financially limited to a salary as their income. Reminds me of Robert in ‘rich dad poor dad’. Keep it up!